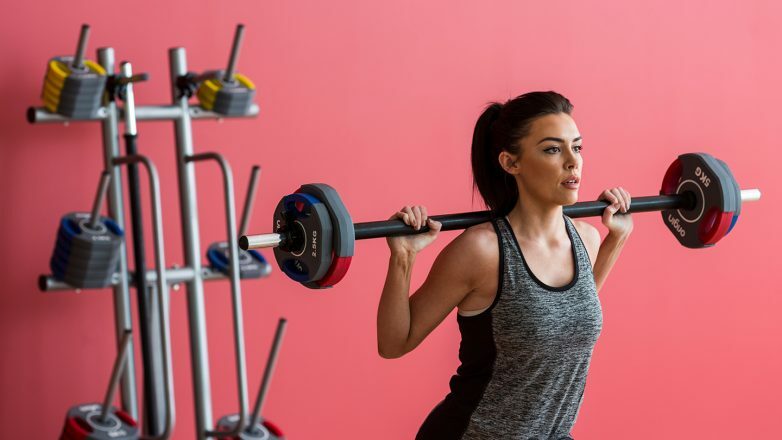 All gyms want to make a big impact on potential new members, especially at highly competitive times like the start of the new year or before the summer holidays. This year, instead of special membership offers to consider the impact you can make by adding a few new products to your gym. Whether you manage a big facility or run a small studio - here are five high impact items we think your new and existing members will take notice of. These small accessories are one of the most underestimated and overlooked items we supply. They are very affordable compared to other accessories, meaning a lot of people assume they achieve very little, but really the opposite is true. Power bands are one of the most versatile pieces of equipment out there. Experienced trainers will confirm that they can be used by any user, from kids and elderly to bodybuilders and S&C coaches. You just need to know what to do with them. They come in a variety of thicknesses, allowing you to work with them with two main outcomes; increasing resistance or decreasing resistance. Exercises that benefit from being increased in resistance include monster walks, bicep and tricep exercises and stretches. If you have a rack with band pegs available, you can also add extra resistance to glute bridges and carry out banded squat, deadlift and bench variations. Of course, thin resistance bands can also allow for a great stretch following a workout session. If you're looking to decrease the intensity of an exercise, resistance bands can help to counteract the force of gravity to an extent. Introduce banded pull-ups and dips to beginning members, to help them build their strength and get familiar with the movements before moving them on to less or even unsupported versions. 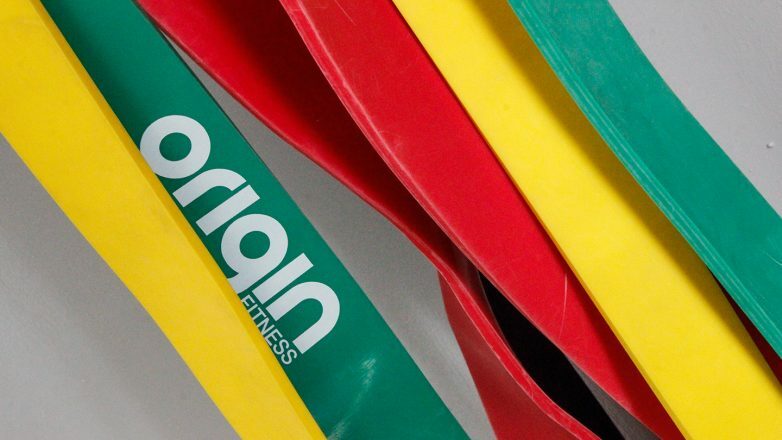 A few new sets of resistance bands around the various areas of the gym shows great attention to detail that won't go unnoticed for the members and trainers that have the knowledge to utilise them. 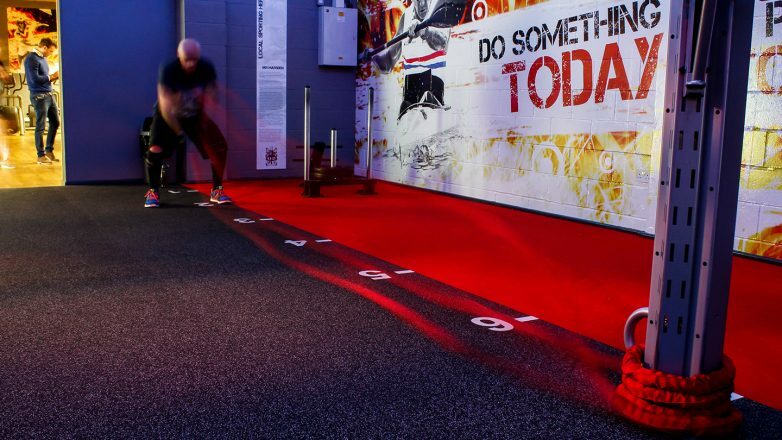 Adding a turf sprint track to your gym can really change the way your members train. If you go the extra mile and include markings, it can add a whole other dimension to their workout routine, and also adds a great look to your gym floor. 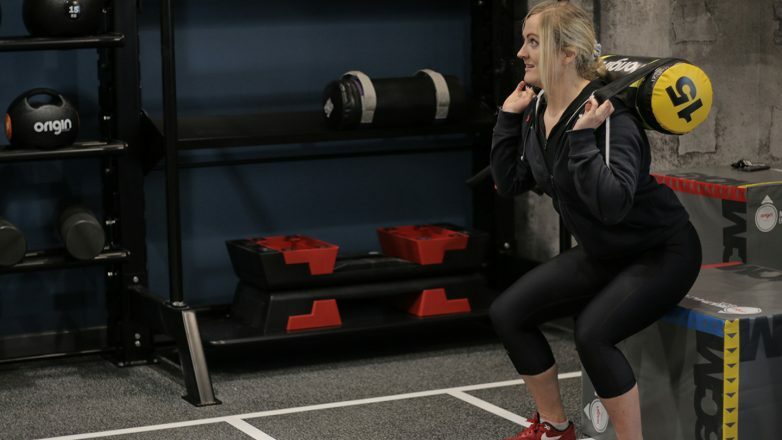 Having a long, vertical strip makes a fantastic station of circuit training exercises that either require walking, throwing or movements that use equipment like battle ropes. It simply designates a clear area where 'activity' happens, making the gym floor safer and more organised. While not in use for prowler or battle ropes , it becomes a fantastic lunge walk and squat jump track. If you do have, or opt to include the floor markings, these also double up as circuit station indicators. Having a marker every meter means people know exactly where the station borders are and will prompt them to keep their equipment and themselves within these clear boundaries. 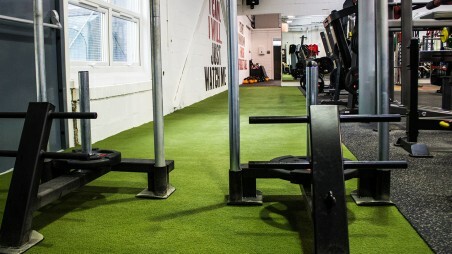 We realise this can be a big investment and isn't always a viable option to everyone, but even clearing a space for some of the above purposes can bring add a flexible area and some breathing space to your gym. The Hyperwear range has made a huge impact on performance and cross-training facilities in the US and it is easy to see why. Though the products take a little bit of getting used to, they open up a completely new way of training once staff and members become familiar with them. The Hyperwear range also includes weighted vests that are a great way of adding a new level of difficulty to familiar exercises. HIIT and circuit programmes lend themselves particularly well to this vest, but the snug and comfortable fit means that they can even be worn while out for a run, without having a shaking, bouncing vest to deal with. Hyperwear have also created SandRopes (a space-saving alternative to battle ropes, that can double up for trunk work, or barbells for lunges) and SoftBells (a deconstructed dumbbell/kettlebell hybrid that is ideal for studio classes and light strength training). You can find out more about the entire range in this blog post. Who said you can only use plyo-boxes for jumping? 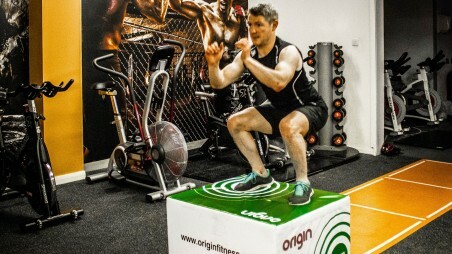 There are lots of variations of the same product, but one of the most versatile (and one of our favourites) is the Soft Plyo Box Set. Made up of four boxes of varying height, these build up to a staggering 60 inches (152cm) but can be as low as 6 inches (15cm), depending on the aim of your exercise. Great for box squats, split squats and step ups; these boxes allow you to play with height to build strength over time. As well as these staple movements, you can use the height variations to scale up/down a bunch of bodyweight exercises, including push-ups ups, single leg lunges and dips. 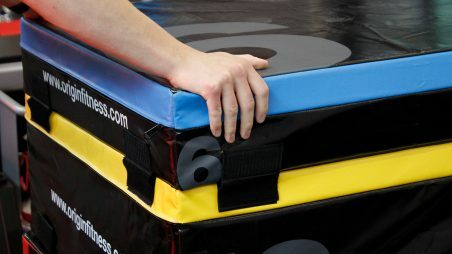 The soft covering of these particular boxes mean that they aren't as intimidating as their wooden or metal counterparts, and make them more comfortable to place your hands and feet on. Though originally built for a group training environment, Urethane Studio Weight Sets are also ideal for introducing less experienced members to training strength. These urethane covered sets are highly durable. The light weight of the discs allow members with who haven't much experience in weight training the opportunity to practice these movements. Building up their form and confidence could mean they have the confidence to move on to more free weight based training in future. The growing popularity of exercise apps and digital classes means there could be members looking to carry out a studio weights class without having to sign up for your instructor-led session. Having these weights available for them in the strength or stretching area means they can come in and take part in their favourite class in their own time. So there we are: our five top high impact items we think can make a big difference to your business. What are you stocking up on to make sure your members stay entertained year round? This entry was posted in Knowledge & Advice, Gym Owners Advice on 11th December, 2017 by Eva Deckers.